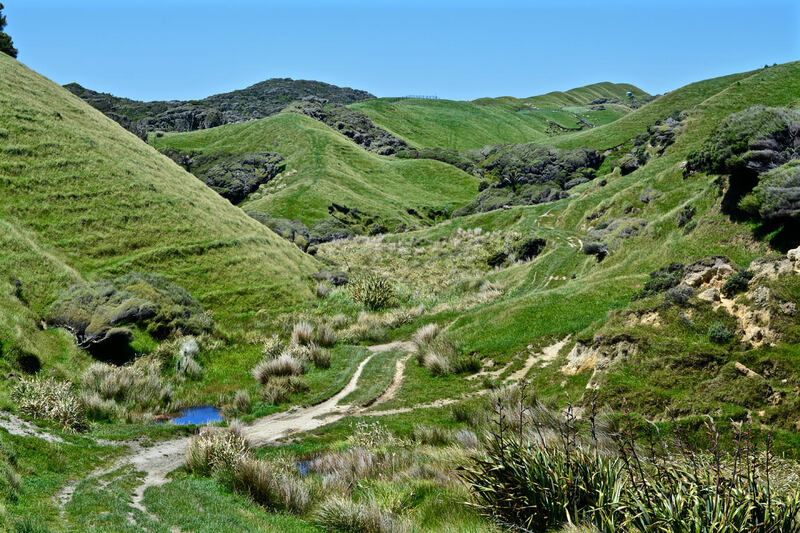 Green Hills Track is a hiking track on the South Island of New Zealand – 28 kilometres away from the town of Collingwood. 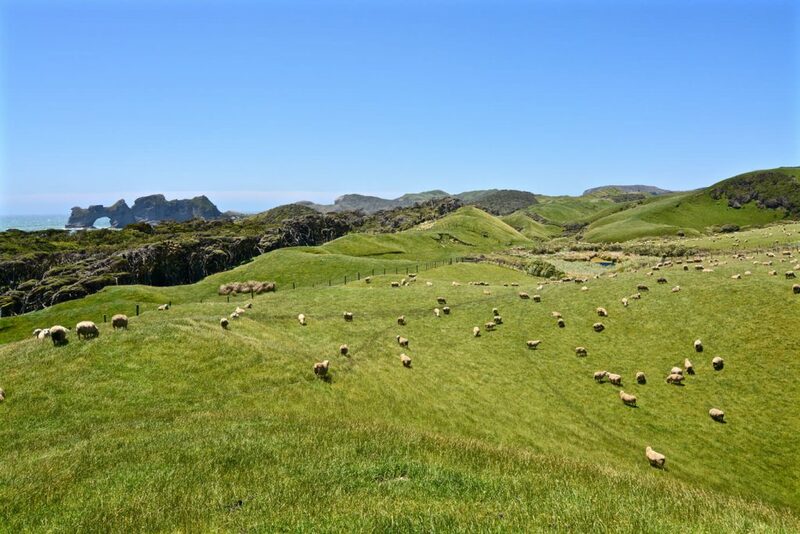 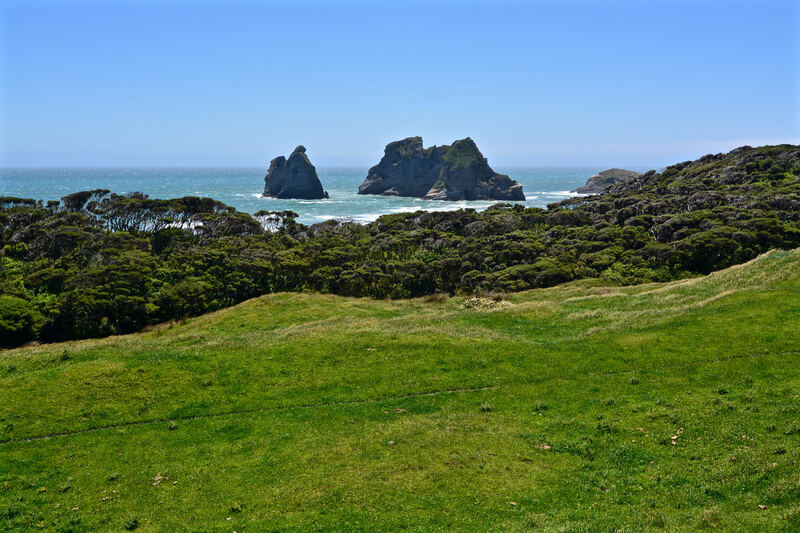 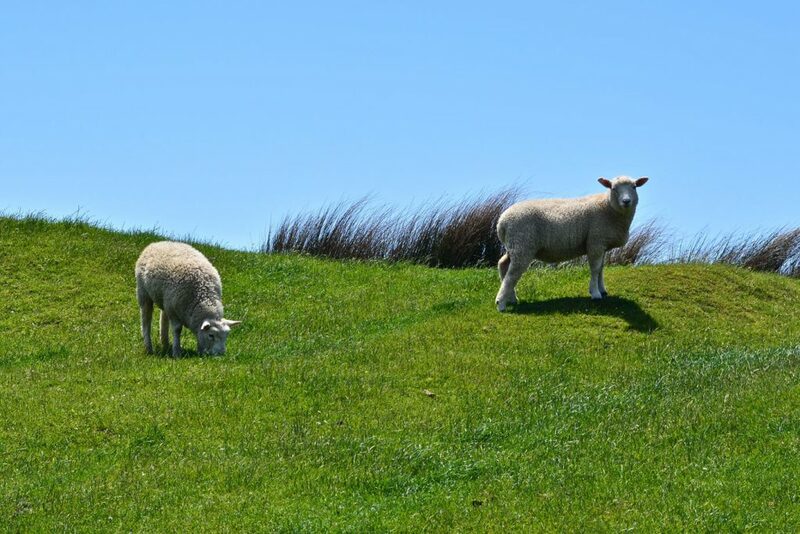 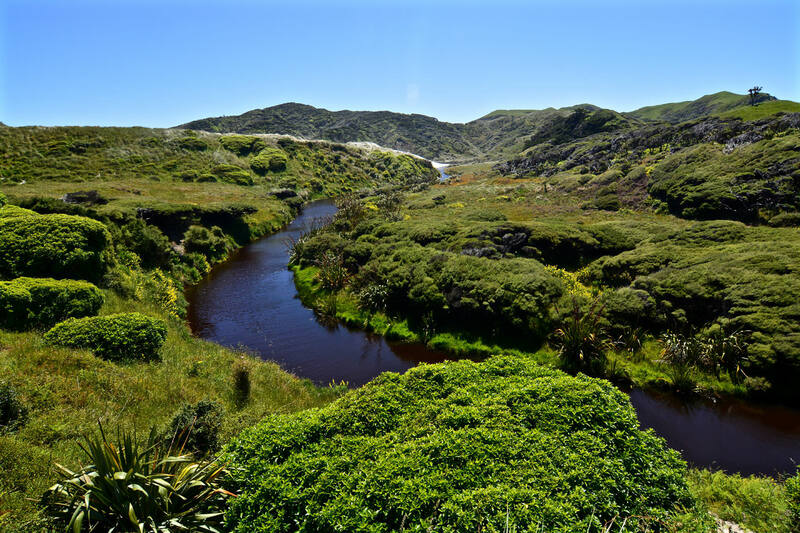 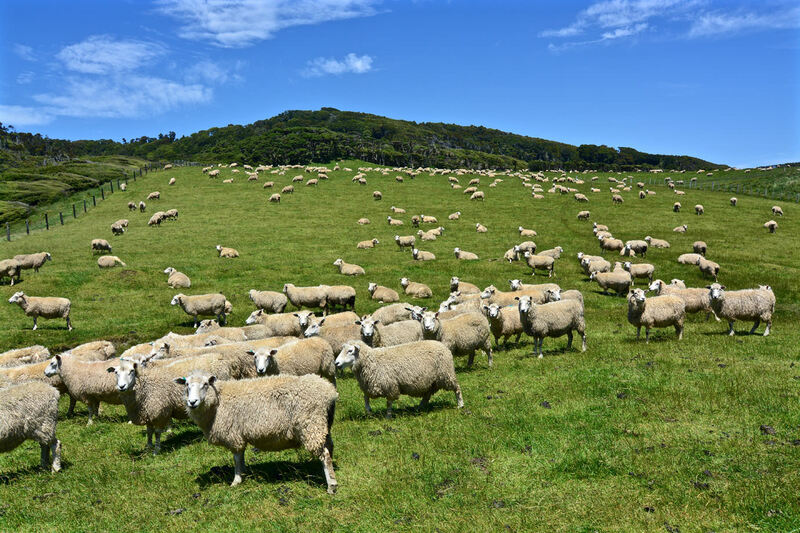 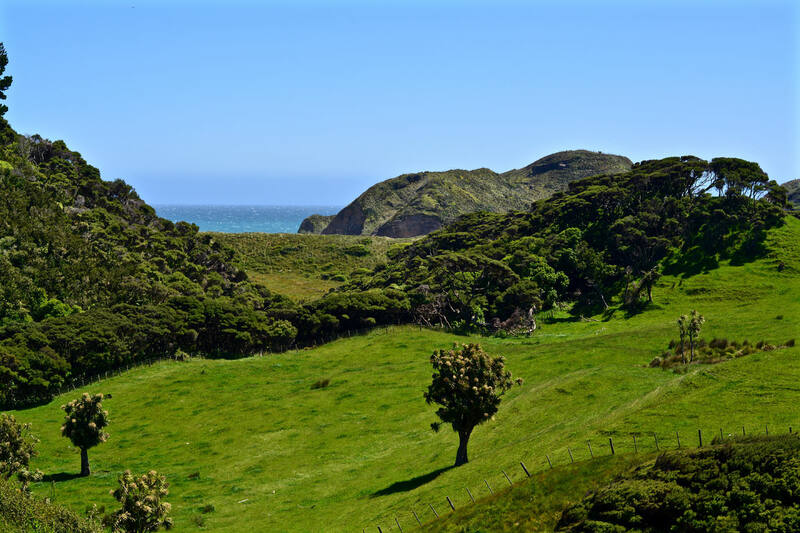 Located next to Farewell Spit, Cape Farewell and Wharariki Beach it offers enough possibilities to enjoy a great day of hiking and exploring. 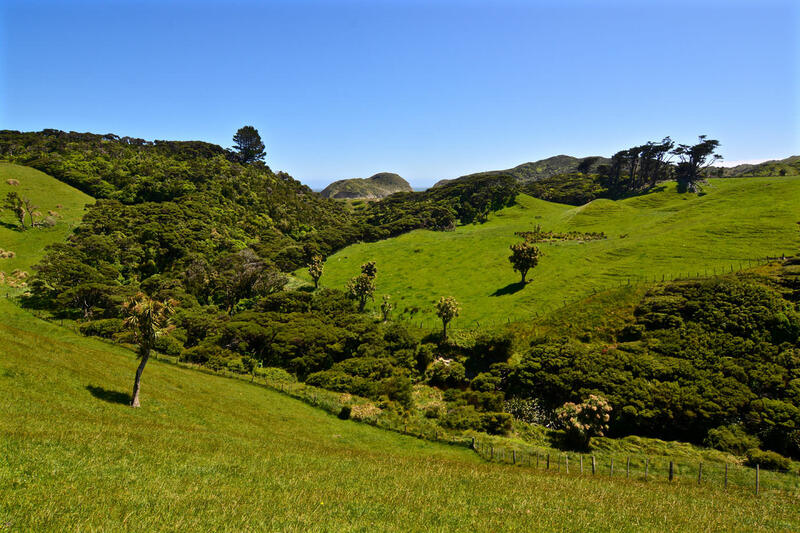 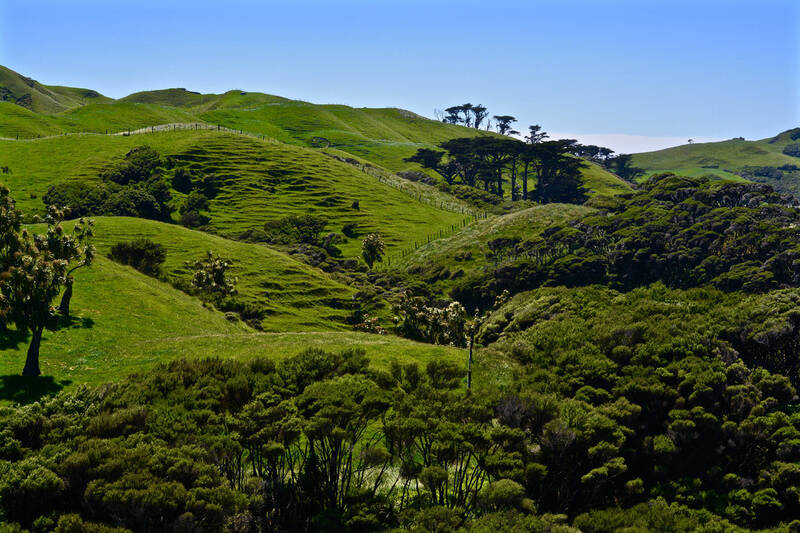 Green Hills Track is 10 kilometres long and starts at Wharariki Road car park. 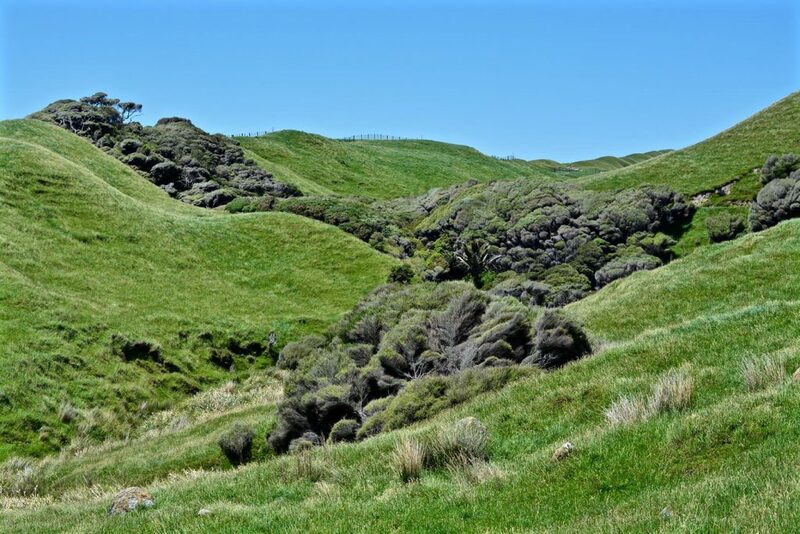 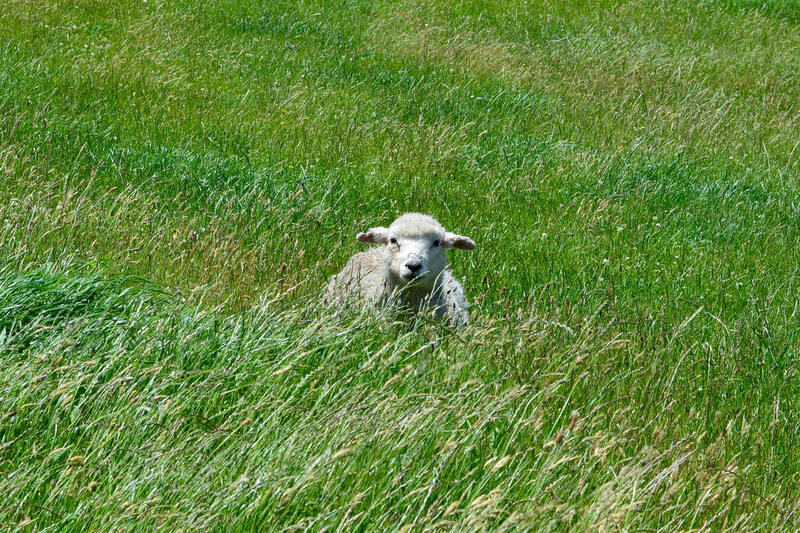 As its name suggests the path will lead through hills painted green by lush grass. 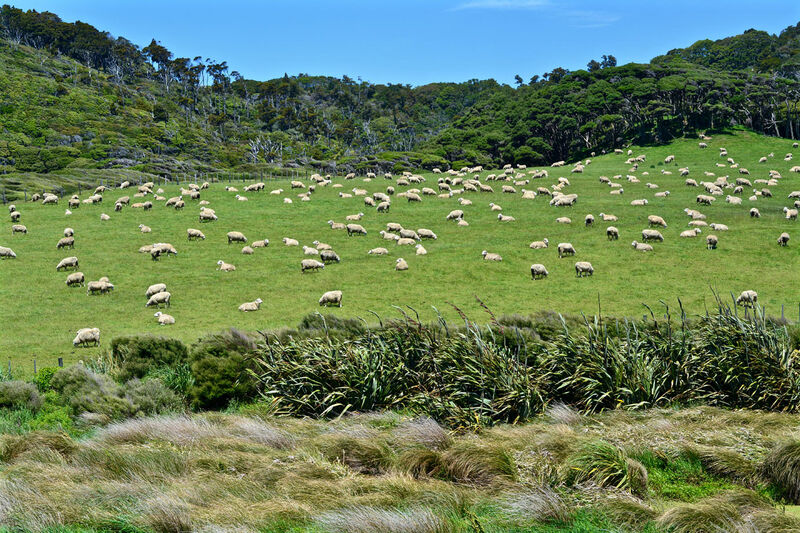 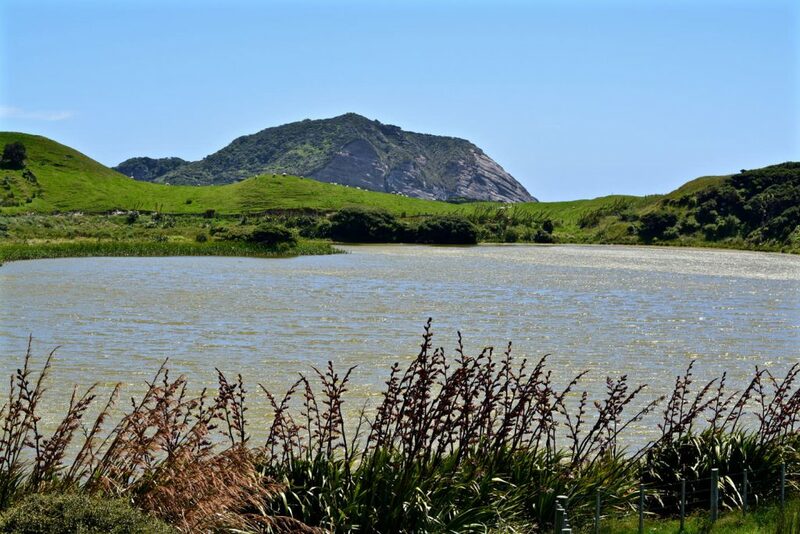 With the Pacific Ocean, sandy beaches and steep cliffs in the background and Island Lake, Nikau Lake and Dune Lake on the way the walk really offers some spectacular views.